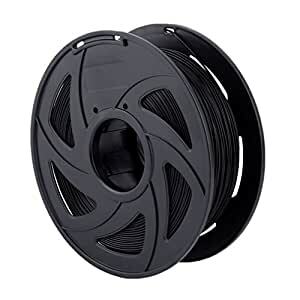 1.75MM PLA FILAMENTS: PLA filaments are widely used in a broad range of printing applications considering the feature of low toxicity and better environmental friendliness. 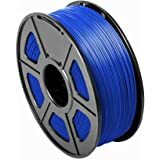 Compared to other brittle PLA, Our 3D printer filaments have adjusted the degradability of the material for optimal performance, so these PLA filaments are not very brittle during 3D printing process. 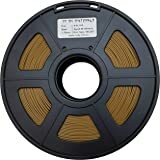 HIGH PRECISION FILAMENTS: Our PLA 3D printer filaments are produced with precise specification. Whichever 3D printer you are using, the consistently round diameters provide optimum flow through the extruder nozzle. Almost all 1.75mm-specification 3d printers and 3d pens in the market are configured to run with these PLA 3D printing filaments. VACUUMED SEALED PACKAGING: 3D printing materials are easy to be negatively affected by moisture, so Our 3D printer filaments are all vacuumed sealed along with a desiccant pack. 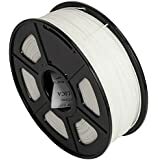 In this case, you can easily keep your 3D printer filaments at an optimal storage condition and free from dust or dirt before opening the vacuumed sealed packaging. 100% ENVIRONMENTAL FRIENDLY: PLA is a biodegradable thermoplastic which is derived from renewable resources, such as cornstarch, sugar cane, tapioca roots or even potato starch. So these 3D printer filaments are free from potentially hazardous substances. The 1.75 mm PLA filament gives off a sweet smell, and it is considered by many as an improvement over hot plastic. 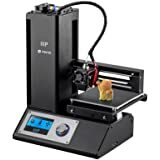 100% SATISFACTION GUARANTEE: We devote to offer best 3D printer filaments and quality customer service. 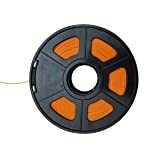 Our PLA 3D printer filaments are backed by 90 days Money Back Guarantee. Please seize the chance to click "Add to Cart" button right now! Compared to other filaments, Our PLA 3D printer filaments are produced with more precise specification and the printed objects will have a glossier look. The 3D printer filaments are compatible with most 1.75mm-specification 3d printers and 3d pens in the market. Please no hesitate to message us if you have any question.